MAWT Inc.’s Promise to You….But we need your Financial Support First! | Mothers Against Wind Turbines Inc.
MAWT Inc.’s Promise to You….But we need your Financial Support First! FOLLOW LINK TO LEARN WHERE TO SEND IN DONATIONS – Where to Send Donations. Niagara Region Wind Corporation has proposed construction of 77 3 mw IWT’s, from just south of Smithville, all the way to Lake Erie. This project includes part of Haldimand County, Wainfleet & West Lincoln. This project has 3500 Receptors. A receptor is located 2 kms from the centre of a building to the base of a turbine. (this number is not the number of people living in within 2 kms of the turbines) 44 of the turbines and the transmission lines are scheduled for installation in West Lincoln, 3 in Wainfleet and 30 in Haldimand. Growing evidence indicated that 20% of the residents living in homes within the 2 km impact zone of IWTs will suffer moderate to severe negative health impacts, for which some may have to abandon their homes. (This has already occurred in other areas across Ontario.) 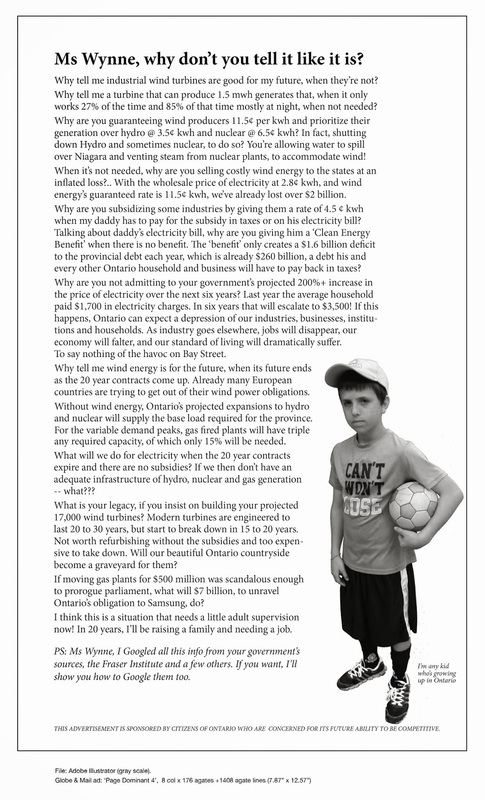 Everyone will suffer from loss of property value, as is already evidenced by the inability of residents to sell their property simply because of the possibility of turbines being placed in their neighbourhood. We need to preserve the spirit and values of our community from typical social disintegration and injustices as witnessed in communities worldwide where IWTs have been pitting neighbours against neighbours, and family against family. Our Health, Safety, Property Values, & Environment are priceless and worth fighting for. for this reason MAWT Inc. seeks funding from our community. MAWT Inc. promises to do everything in our power to protest this project and to protect our community from the installation and the negative effects of the installation of IWTs. C. to cover legal costs to assemble expert witness and evidence for Appeal hearings. Just the preparation and gathering of documents and the subsequent costs of preparing the copies and mailing the hundreds of pages of documentation can add thousands of dollars of unanticipated expenses to an appeal. There are many unknowns, such how many times we will need to appeal, or if the wind proponent will appeal a MOE decision made in our favour. We there fore ask for your support by donating to Mothers Against Wind Turbines Inc to assist with the legal challenges on behalf of residents who are opposed to NRWCs wind project. If funds collected are in excess of the need to support legal proceedings and related costs, funds will be returned to donors based on % donor contributions. follow link for a print off of Where to Send Donations. Feel Free to make copies and hand out to your Family and Friends. We Must fight as a Community!! Pingback: Wind turbine appeal to be heard in “Wellandport” (not Smithville) | Mothers Against Wind Turbines Inc.
Pingback: NRWC project estimates “1372” Truck Deliveries and Removals PER TURBINE Site!! | Mothers Against Wind Turbines Inc.
they left and continue on their spree to winning.